In a ceremony that featured the arrival of the Mascot of the Games – Nasi the Nasiviru - in a canoe, and a live version of the official theme song Ignite the Spirit Within, Van2017 announced its first round of sponsors on January 31 at the Holiday Inn. Eight sponsors were announced, which represent 60% of the target number of sponsors and approximately 75% of the earmarked sponsorship revenue target. CEO of Van2017 the organizing committee for the Games said that the organization is thrilled to have the support of these companies who will provide their time, money and resources to help deliver a great event. Mr Flood indicated that one of the key elements that sponsors also provide is the increased awareness of the Games through their marketing campaigns that they will undertake to promote their involvement with the Games. 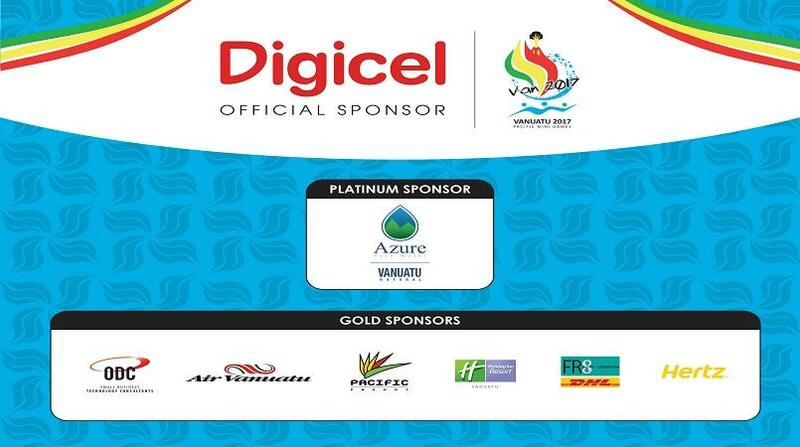 Chairman of the 2017 Pacific Mini Games, Mark Stafford, thanked all the sponsors for their support, and indicated that one of the goals of the Games is to ensure that a positive experience is created for the sponsors, so that on future events, they will have additional incentive to provide their sponsorship. Mr Stafford indicated that without the significant corporate support of these sponsors and others that will hopefully sign up in the next month or two, then the Games would not be possible to be delivered at the level expected of such an international event. He also expressed gratitude to the Government of the Republic of Vanuatu who are the largest financial contributors to the Games, and the Government of the People's Republic of China for their contributions towards Venues and equipment needed for the Games, and the training of Athletes and Officials. The Deputy Prime Minister Honorable Joe Natuman thanked all the Sponsors for their support, and once again committed that the Government of Vanuatu is 100% behind the event, and pledged that the Government is also committed to maintenance of the facilities that are one of the legacies of hosting the Pacific Mini Games.